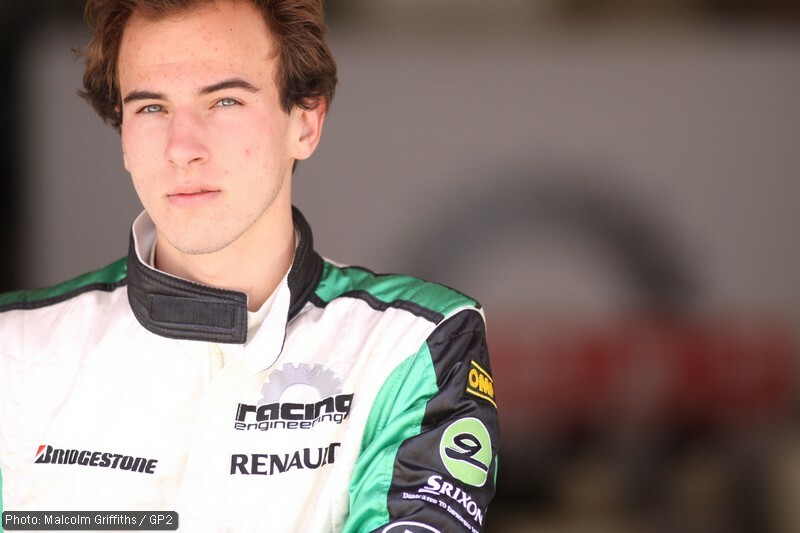 Racing Engineering’s Christian Vietoris became the third driver to top the timesheets in three days of testing at the Circuit de Catalunya in Barcelona today after setting a fastest lap of 1:27.284. Vietoris, who led the field in the morning session and set the best time of the day, was one of six rookies to finish in the unofficial top 10. iSport’s Davide Valsecchi was quickest on track in the afternoon, a session in which five newcomers were among the top 10 finishers. The German took took the top spot one hour after the pitlane opened and stayed there. Valsecchi’s iSport team-mate Oliver Turvey moved up to second fastest in the last half-hour of the session, edging out Dani Clos, at the wheel of the second Racing Engineering car. Arden’s Charles Pic finished fourth, his strongest showing so far, with ART’s Jules Bianchi fifth, DAMS’ Jérôme d’Ambrosio was sixth, Rapax’ Pastor Maldonado seventh and Super Nova’s Josef Kral eighth. His team-mate Marcus Ericsson was ninth with Addax’ Sergio Perez filling out the top ten. The session was red flagged twice, first following a collision between DAMS’ Ho-Pin Tung and Trident’s Adrian Zaugg at Turn 5, and then after Bianchi hit the barriers at Turn 3 following technical problems. Sam Bird, Bianchi’s ART team-mate, was 18th and Ocean’s Max Chilton 21st. The afternoon session was initially undramatic with Chilton’s team-mate Fabio Liemer topping the timesheet for the majority of the session. But things hotted up in the last half an hour after Valsecchi took the lead and Maldonado moved up to second place with a time just three hundredths of a second slower. Leimer secured himself third place ahead of Bird, Turvey and Bianchi. Addax’ Giedo van der Garde finished in seventh place with Chilton, Rapax’ Luiz Razia and following. Chilton initially looked to have set the fastest lap of the session but his time was deleted after he reported cutting a chicane. Today was the last of the pre-season tests for the GP2 Series. The 2010 season will start in Barcelona, where it will support Formula One, from May 7. For a full set of standings and statistics see the series’ website here. Categorised under GP2, tagged under ART, Christian Vietoris, Circuit de Catalunya, GP2 testing, iSport International, Max Chilton, Ocean Racing, Oliver Turvey, Racing Engineering, Sam Bird.